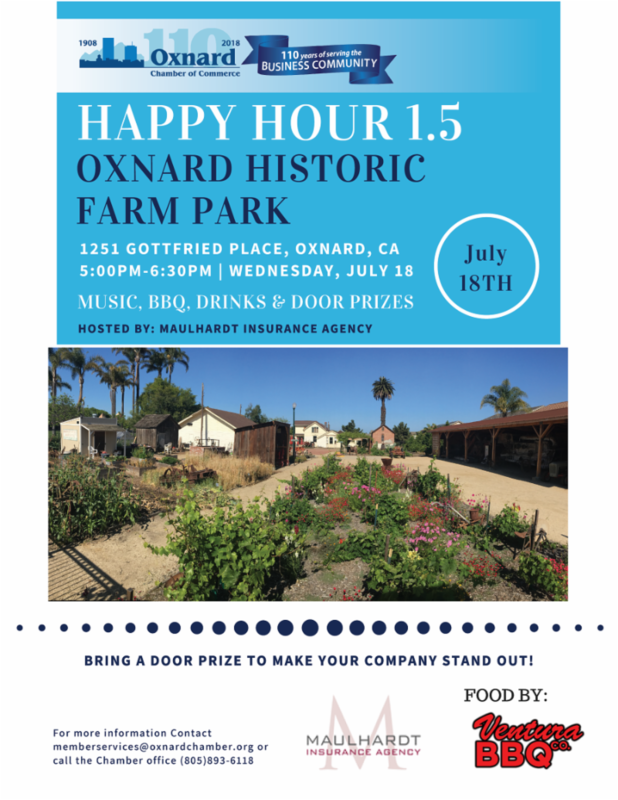 JOIN US TOMORROW FOR HAPPY HOUR 1.5 AT THE OXNARD HISTORIC FARM PARK! 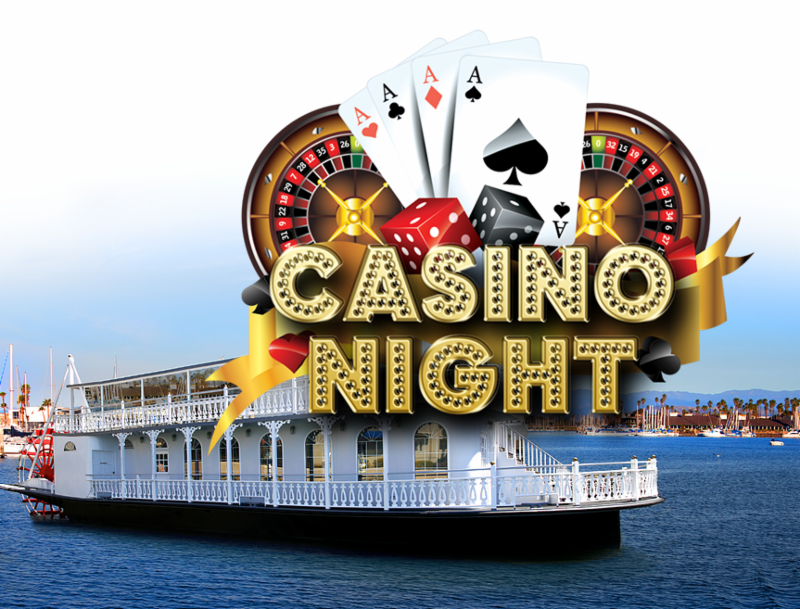 Enjoy a night of networking, live music, drinks and food! Happy Hour 1.5's are well attended networking events that offer participants a way to connect with potential customers and influential people. 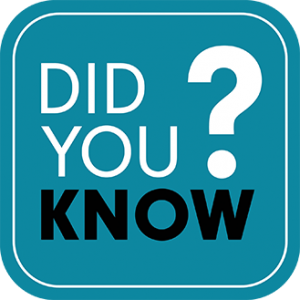 You could register for events through your member portal! 1.Visited a new Oxnard business – Astro Aerospace , which is a division of Northrop Grumman. 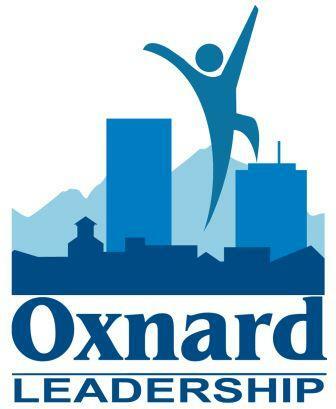 Welcome to Oxnard!!! 2.Held an OXYP (Young Professionals) meeting to plan activities for this Wednesday’s Happy Hour 1.5 at the Oxnard Historic Farm Park . 3.The Chamber’s Military Appreciation Committee met to continue organizing for the September 28 dinner honoring enlisted personnel. 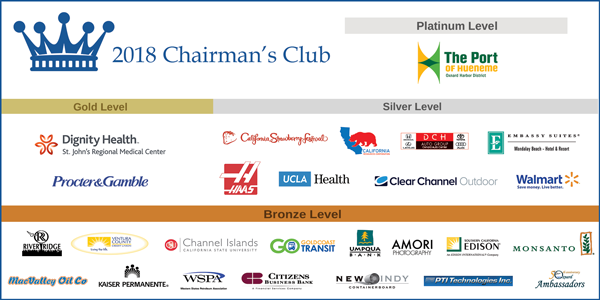 4.The Oxnard Leadership Steering Committee met to plan some exciting and interesting agendas for the last four sessions of the 2018 program. 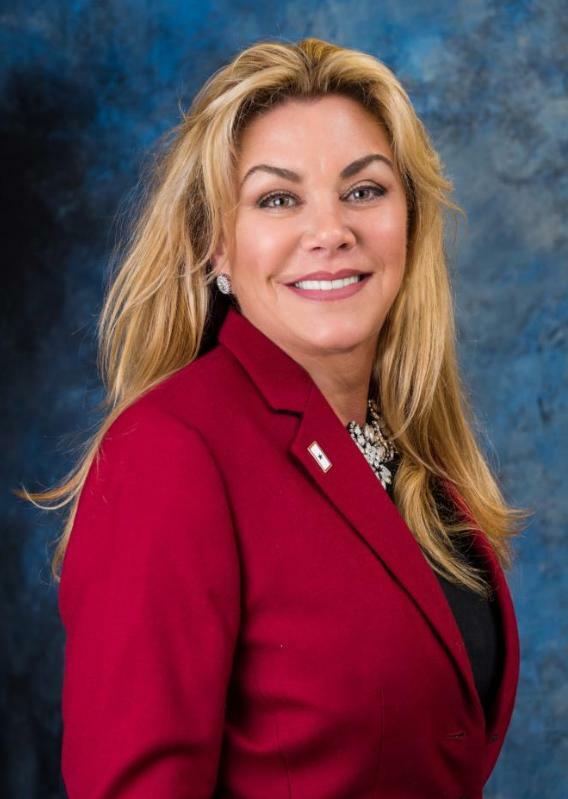 5.Hosted Alex Nguyen, Oxnard’s new city manager at the Knowledge & Networking Lunch. Welcome to Oxnard, Alex!! !